When you work from home, whether as a freelancer or an employee, it affects your taxes. And while many people have an accountant to help them sort all this out at tax time, every person needs a little tax knowledge so they can be making good decisions in regard to taxes all year long. The definition of an independent contractor is a specific term used by the IRS to define a self-employed person who does project-based work. The company that contracts the work does not direct "the means and methods" by which the independent contractor completes the assignment, but it does dictate what the end product or result should be. Independent contracts must pay self-employment taxes. As the IRS defines it, the term means "someone who owns an unincorporated business by himself or herself." So what exactly does that mean? Basically if you start a business under your own name and have not incorporated your business, then you are a sole proprietor. Sole proprietors pay taxes on their business by filing a Schedule C (scroll down for more on this term) on their personal income taxes. Sole proprietors do not need a tax ID number (TIN) but use their own Social Security number. There are some circumstances when a single-owner, limited liability corporation (LLC), which is incorporated, may still be taxed as a sole proprietor. Independent contractors are very often sole proprietors too. However, an independent contractor can be incorporated as an LLC, partnership or other business structure. Typically the solo freelancer is a sole proprietor. A “tax schedule” is a more elaborate form that is used to calculate the element of your taxes. You file it with your return. Schedule C is used to calculate personal income tax returns profit or loss from a business operated by you or from a profession in which you are the sole proprietor. The net income or loss for a business is figured on the Schedule C by calculating business income and subtracting business expenses, which may include the costs associated with maintaining a home office as well as many other deductible business expenses. The total profit (or loss) is then entered on your 1040 as income. The simplified home office deduction, which was instituted in 2013, is also calculated on Schedule C. If you use the old home office deduction method it is still calculated on Form 8829 (scroll down for more on this form) and then entered on to Schedule C.
This form is used to calculate expenses for business use of your home, i.e., home office tax deduction, for independent contractors filing a Schedule C, if you are not using the simplified home office tax deduction, which is calculated on Schedule C. These expenses are then deducted on Schedule C. This form is not used to deduct office equipment or furniture, but only to calculate the deduction for use of your home. Also it is not used for telecommuting employees claiming a home office deduction. Telecommuters use IRS Form 2106 Employee Business Expenses and file it with their Schedule A. Form 2106 is used to calculate unreimbursed business expenses for employees. These are then deducted on line 21 of Schedule A (Form 1040). Some business expenses that can be deducted using this form include mileage, traveling costs, home office expenses, business gifts, education (tuition, fees and books) and trade publications. 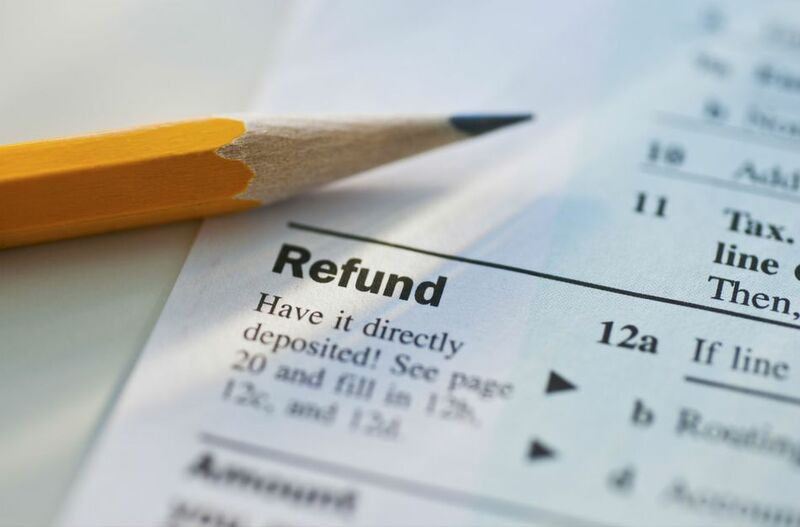 These deductions are all subject to specific IRS regulations, so please read the instructions on Form 2106 carefully or consult a tax specialist. Also, keep in mind that only the amount of these unreimbursed business expenses (as well as a few other deductions like tax preparation) that is greater than 2 percent of your adjusted gross income is deductible. So if your business expenses are relatively small, you may not be able to deduct them at all. Telecommuting employees, who work from home for the convenience of their employers, use this form to calculate a home office deduction. Independent contractors use IRS Form 8829 to calculate their home office deduction. IRS form Schedule SE is used to calculate self-employment taxes for a business owner that files a Schedule C (which calculates profit or loss from a sole proprietorship), Schedule F (used by farmers) or Schedule K-1 Form 1065 (used for partnerships and joint ventures). The self-employment tax calculated on this form is entered on line 56 of your 1040. This form is also used to calculate the self-employment tax deduction from your adjusted gross income, entered on line 27 of your 1040. The 1099-MISC is a form used to report to the IRS income paid to an independent contractor. It is also used to report rent, royalties and a variety of other types of income. For independent contractors who work from home, often in freelancing or consulting, it is commonly used to report nonemployee compensation (box 7). Typically, independent contractors report the income in box 7 on their Schedule C.
If you are paid $600 or more dollars as an independent contractor by one company, that company should issue you a 1099-MISC by January 31 of the following year. The deadline can occasionally be later if January 31 falls on a Saturday or Sunday. Likewise, if in your business you pay an independent contractor $600 or more, you must issue him or her ​a 1099 by that due date. You must file a copy with the IRS as well. See IRS 1099-MISC form for more details. Note: If you are an employee that telecommutes from home, you should receive a W-2 form reporting your income and the taxes withheld, not a 1099.